This page features PayPal as a viable depositing and withdrawal method for online gambling transactions in Pennsylvania. For a comprehensive list of cashiering methods that will likely be available in the market, see our complete Banking Guide. PayPal is an online payment system likened by some to an electronic wallet. The service enables instant transfers of money for online shopping, bill paying, and sending funds to friends or family. In recent years PayPal has also become one of the best available methods for funding accounts at legal online gambling sites and sportsbooks in the United States, providing players with an attractive alternative should they have difficulty depositing via other means. In this overview, we take a look at how PayPal works on gambling sites, and which online casinos and sportsbooks in the upcoming Pennsylvania market are likely to carry the option. Though it is impossible to be certain, it is very likely that most or all of Pennsylvania’s new casinos and sportsbooks will allow PayPal for deposits and withdrawals. When online gambling returned to neighboring New Jersey in 2013, PayPal was originally unavailable, despite other eWallets embracing the market. Over time, though, PayPal quietly eased into arrangements with nearly every major operator and is now a primary method NJ gamblers use to access their money. Harrah’s: Will use Caesars branding for its iGaming operation. Caesars Entertainment sites were among the first to incorporate PayPal in the New Jersey market. GAN: Powers the Betfair Casino platform in NJ, and working with Parx Casino in Pennsylvania. Rush Street Interactive: Powers PlaySugarHouse Casino & Sportsbook in New Jersey, licensed for online gambling/sports betting in Pennsylvania. 888 and PokerStars: Both are partnered with Mount Airy Casino. Mohegan Sun: Operates Mohegan Sun Casino in the NJ market. Golden Nugget: New Jersey’s most popular online casino site also secured an online gambling license in Pennsylvania. There are some questions if the recent reinterpretation of the Wire Act by the Department of Justice will wind up complicating the rollout of PayPal on Pennsylvania gambling sites when they launch. While so far online banks and electronic wallet services have not been targeted under the Wire Act, the possibility still exists as these companies can be seen as facilitating gambling by transferring money across state lines. PayPal has not ceased handling funds for current sites in NJ and Nevada in reaction to the new DOJ opinions, but there is a small risk they could hold back from entering into new arrangements with PA casinos and sportsbooks as a result. Especially considering the reluctance PayPal showed in returning to New Jersey after casinos launched there, a result of previous legal troubles. It is also worth noting that PayPal is still not yet available as a banking option at Pennsylvania’s current only online gambling site, the PA iLottery. PayPal is a widely liked and trusted brand with a great reputation. PayPal is very safe with advanced security measures and encryption technology. Personal financial data about your banking source is stored in your PayPal account and does not need to be shared with the casino or sportsbook operators. This creates an extra degree of separation between the site where you gamble and your money, helping to keep your private information even more secure. Once your PayPal account is fully set up (which for most people has already happened) future transactions are very fast and easy with no headaches. If you prefer going directly through your bank via ACH (eCheck). If you have easy access to the affiliated brick-and-mortar cashier’s cage and prefer to do your transactions with cash. If you already keep a lot of money in another eWallet such as NETELLER or Skrill. Visit paypal.com and choose the Sign Up option. Make sure to make a Personal Account as Business accounts are not allowed to fund gambling. Enter your full name and the e-mail address you want to be associated. Choose a secure password. Provide personal information including your mailing address and phone number, and agree to the Terms and Conditions. Respond to the verification e-mail the PayPal sent you to confirm your e-mail address. Link your bank account to your PayPal account via the PayPal site UI, providing them with the necessary information. It is also advised you link a credit card as well as at this time. Once linked to your bank account, PayPal may need to make some very small transfers to confirm everything is functional. These may happen instantly or take a day or two depending on your exact circumstances. From here on you can transfer your money freely back and forth between your bank and your PayPal account. With just your bank account linked the process of pulling money into PayPal may take a few days, but if your credit card is also linked with PayPal you can transfer your money from your bank instantaneously even though you are not using the card at all. You will likely not be allowed to use a card-funded transaction for online gambling. Please be certain that your personal information you provide to the casino or sportsbook while setting up that account matches what is on your PayPal account or you will face difficulties when it comes time to withdraw. If you have first deposited money from your PayPal account into an online casino or sportsbook you should then easily be able to withdraw your winnings back to the original PayPal account without trouble. The easiest option is simply to transfer the funds back to your original bank account, which shouldn’t normally take more than a day and will incur no fee. You may also transfer PayPal funds to a prepaid Visa or MasterCard debit card for a $0.25 fee. This takes about 30 minutes. PayPal also offers their own PayPal MasterCard Debit card that is automatically linked to your account. This can make purchases at any location MasterCard is accepted or be used to withdraw funds via ATM. The slowest and least convenient method is to request a paper check by mail from PayPal for a $1.50 fee and up to a two-week wait. In this case, you’d probably be better offrequesting a check by mail directly from the online casino or sportsbook. PayPal currently enjoys a stellar reputation, but they still have a turbulent past history in the U.S. as pertains to online gambling. In the early 2000s, online poker rooms and casinos first started appearing on the internet and rapidly gained in popularity. At this time PayPal was the most popular payment method used to fund gambling accounts. This included widespread use on offshore poker and casino sites, opening up PayPal to legal liability. PayPal was acquired by eBay in 2002, and very shortly later in 2003, the company was charged in the U.S. with money laundering for transferring money internationally that came from criminal enterprises. As a result, PayPal ceased working with any online gambling operators and agreed to a fine of $10 million. In 2010 PayPal began to again process transactions for online gambling sites in Europe, but only for licensed and regulated clients. When legal online gambling returned to the U.S., PayPal held back and waited for the industry to take hold, only becoming available on sites in New Jersey and Nevada starting gradually in 2015. This was done quietly and without fanfare, and PayPal had no desire to bring attention to its previous situation. Today PayPal is available for funding accounts with most (but still not all) legal U.S. operators. As the company is now in good standing its availability on more and more legitimate sites has begun to help the perception of online gambling as more stable and reliable. 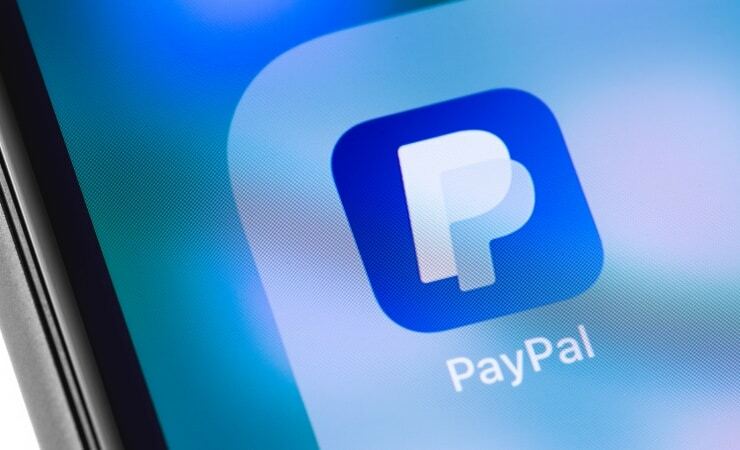 In years to come, PayPal’s involvement in the industry will hopefully help tip the scale for new markets currently looking into legislating online gaming.